Maritime archaeology, the study of man's early encounter with the rivers and seas of the world, only came to the fore in the last decades of the twentieth century, long after its parent discipline, terrestrial archaeology, had been established. Yet there were seamen long before there were farmers, navigators before there were potters, and boatbuilders before there were wainwrights. 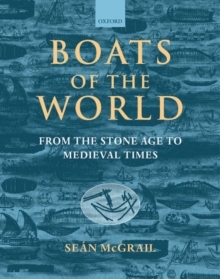 In this book Professor McGrail attempts to correct some of the imbalance in ourknowledge of the past by presenting the evidence for the building and use of early water transport: rafts, boats, and ships.